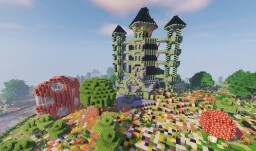 Adventquest is a French team that is specialized in building of adventures maps in Minecraft. Piccomaster and Thundesrtruck are the initiators of this team followed by Tristepouille the web designer and administrator of the website. The first project of adventures map « Dungeon Doomaster » has been created by Piccomaster in 2013. 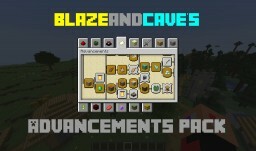 This adventure map was carried out with version 1.5 of Minecraft. It’s still possible to download and play it. Following the craze of the first map, Thundestruck and Piccomaster have finally began together to create a big adventure RPG map. A lot of hardwork for two years began (construction, terraforming, Redstone system control block or even music compositions). Three months after the release of the map and available in French, English and even Chinese, nearly 450,000 people had downloaded the map. After so much passion and work, Thundesrtruck and Piccomaster decided to create the Team Adventquest, and followed closely by Tristepouille to promote their work and, thanks to a website, bring together a community that loves adventure maps.